Montreal is a beautiful city that perfectly blends its urban character with natural beauty. No city in the Americas offers a better theater for witnessing the changes nature undergoes in through the seasons. A city that has a love affair with hockey, Montreal hosts a multitude of outdoor skating options in winter, while in summer the city heats up, but luckily it is surrounded by water on three sides so there are a variety of places to soak up the sun’s rays before taking a refreshing dip in the water. Here are the best parks to enjoy whatever the weather. Cap-Saint-Jacques is a peninsula in western Montreal. Its a perfect place for sunbathing in the summer. 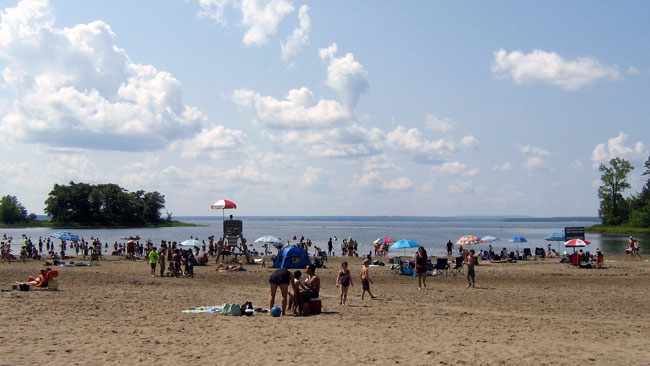 The cool waters of the Rivère des Prairies (the River Meadows) and Lac des Deux Montagnes (Lake of Two Mountains) pass by on three sides of the park. Lay on the beach and enjoy the sunshine until you need a dip in the refreshing waterways passing by. 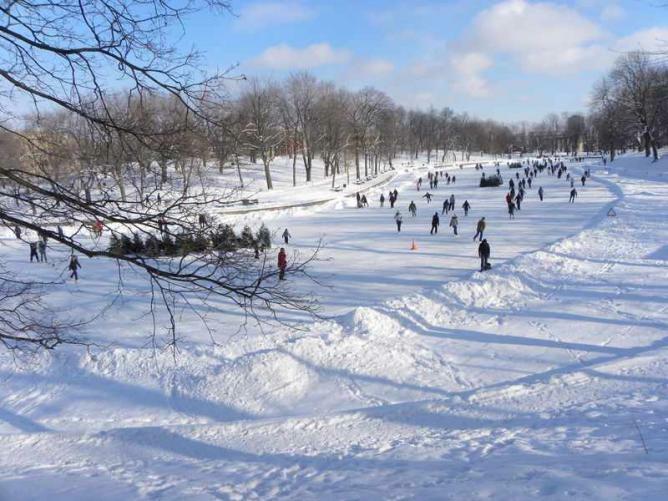 Parc du Mont-Royal is arguably one of Montreal’s most famous sights. It is home to one of most glorious shows nature puts on when the leaves change in the autumn. People travel from thousands of miles just to witness the beautiful spectacle. The hill Mont Royal, which the park is named for, is also the source of the name for the city of Montreal, the French pronunciation of which is Mon-ray-all. 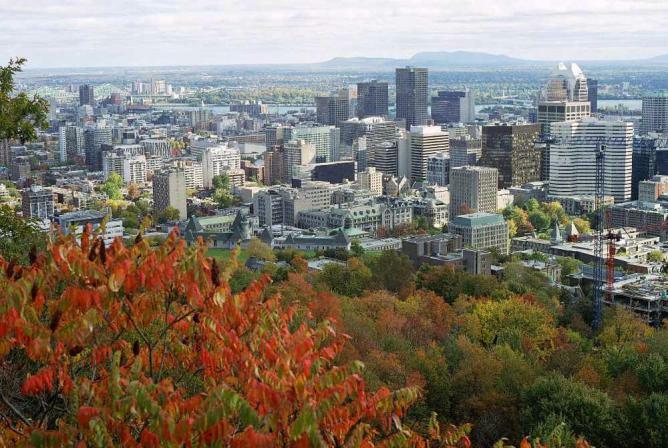 The hill provides a marvelous backdrop for the campus of McGill University, which is situated at the base of its slope. The mountaintop offers breathtaking views of downtown Montreal. This is a place for Montreal’s outdoor-loving and active citizens. For joggers there are a multitude of tree-shaded pathways. For the swimmers there is an outdoor pool, and, in the winter it becomes a skating rink for hockey players and ice-skaters. There are beautiful ponds lined with benches, pathways and open greens, and there is even an outdoor and fully-functioning theater. Mont Royal may be Montreal’s most pleasant sight, but La Fontaine is perhaps its most pleasant and diverse. 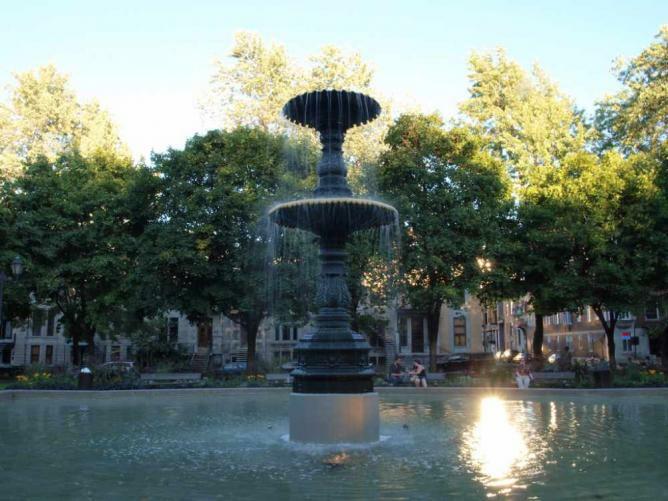 Square Saint-Louis is a lovely square in Plateau Mont Royal in central Montreal. A beautiful Victorian fountain is the fixture in the center of the square. Although not a park per se, the square does offer some respite from Montreal’s strong urban atmosphere in a way that maintains the city but discards it at the same time. Grab you lunch and come sit on the sides of the fountain as you watch the day pass you by across the street. Sir Wilfried Laurier Park is similar to La Fontaine Park in many respects. It offers a great escape for outdoor enthusiasts and weekend warriors alike. In addition to a soccer field, baseball fields, bocce ball courts and a horse riding area, there is a large swimming pool which, like in La Fontaine Park, becomes a center for ice skating and hockey when it freezes over in winter. The park also contains a nice, little playground to bring it all full circle for a perfect family park.